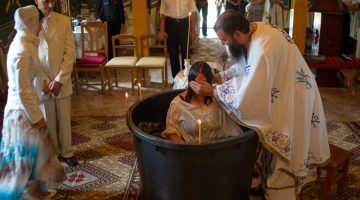 The question of how the Orthodox Church should receive converts from other Christian confessions is a large and complicated one, and is sometimes capable of drawing very warm responses—including from some of our Protestant and Roman Catholic brethren who may feel rejected and slighted by talk of conversion from their confessions to that of Orthodoxy. But the door of conversion swings both ways, with people leaving Orthodoxy to become Protestant and Roman Catholic and with people leaving Protestantism and Roman Catholicism to become Orthodox. It is no good being thin-skinned about this. Obviously everyone believes their own theological choices to be the correct ones and their own church to be the best, otherwise of course they would have made other choices and joined another church. We naturally lament the fact when someone leaves our own church to join another and wish that they would have stayed with us. But our sorrow over this should lead not us to demonize the confessions to which our former compatriots have gone, or blame those churches for receiving them. I assume that of course all Roman Catholics think everyone should be Catholic and all Baptists think that no church should practice infant baptism, but should be Baptist. They are not necessarily being triumphalistic or narrow about this, simply consistent with their own views. I respect them for their integrity—and ask that they respect me for mine when I say that I think everyone should be Orthodox. Given the fact that conversions between churches happen, the question arises of how a church should receive the new convert. This in turn raises other questions for the Orthodox—questions about how the Orthodox Church should regard its fellow Christians and what degree of theological and ecclesial legitimacy may be ascribed to their churches/ confessions. Are Methodists (for example) true Christians? Is the Methodist Church therefore a part of the one, holy, catholic, and apostolic Church confessed in the Nicene Creed? Are there degrees of separation from the Church and degrees of ecclesial legitimacy? Can one assert that a Methodist can be a true Christian, and also assert that the Methodist Church is not part of the one true Church? In discerning a person’s ecclesial status, does one look primarily to the individual’s personal faith or primarily to the confession of their (former) denomination? 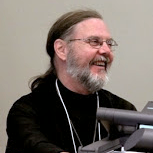 What if that denomination’s confession no longer possesses existential reality, so that while it still exists on paper, few or no one in the denomination actually believes it any more? One does not have to be in the discussion for very long before the issues grow complex. Obviously I cannot pretend to sort the whole thing to everyone’s (or perhaps anyone’s) satisfaction. Here I intend no more than to offer a few thoughts and make a few tentative suggestions which can serve as discussion points in an ongoing debate. In my own OCA, the question about how to receive a convert to Orthodoxy finds partial answer in the Guidelines for Clergy, published in 1998. (I say that this document provides only a “partial answer” because at the end of the day a clergyman relates to his bishop, not to a book, and sometimes books become out-dated, even if they are never formally abrogated by the organization which once published it.) In Part VI, entitled “Reception of Converts”, we read that, “non-Chalcedonians [e.g. Copts] are to be received through Holy Confession, Penance, Confession of the Orthodox Faith, and the reception of the Holy Eucharist…Catechumens who previously have been baptized in the name of the Holy Trinity in a manner recognized as authentic…are received through the Mysteries of Penance, Chrismation, and Holy Eucharist. This group includes Roman Catholics and some Protestants…Catechumens from non-Christian religions who do not believe in the Holy Trinity, or those that do not baptize with water in the name of the Father, Son, and Holy Spirit, are to be received into the Church though the Mysteries of Baptism, Chrismation, and Holy Eucharist… This group includes Baptists, Buddhists, Jews, etc….Catechumens from all non-Trinitarian groups and cults including Christian Scientists, Jehovah’s Witnesses, Mormons…must be baptized”. With all due respect, it is an amazingly muddled series of directives. There are even some matters of factual error, since Baptists do indeed “believe in the Holy Trinity” and do indeed “baptize with water in the name of the Father, Son, and Holy Spirit”. (The “Jesus Only” Pentecostals represent too small a group to count, and it seems unlikely that the Holy Synod had them in mind.) And the rationale undergirding the various decisions is far from clear. Is the defining element the group’s theology taken as a whole, or is it their understanding of baptism? Does the phrase, “baptized in the name of the Holy Trinity in a manner recognized as authentic” refer to whether or not the group practises one immersion/pouring only (judged inauthentic) or three immersions/pourings (judged authentic)? Or does it refer to whether or not the group regards baptism as sacramentally transformative? It seems as if a group’s acceptance/ non-acceptance of the doctrine of the Holy Trinity serves as the deciding factor, but then (as said above) one is mystified to find Baptists included in the disqualified group requiring baptism along with Buddhists and Jews. If taken and applied literally, it would also yield some odd results. The late Dr. Billy Graham for example, would have had to be received by baptism and chrismation along with those Buddhists and Jews, while the notoriously liberal and heretical Episcopal Bishop John Spong would only require chrismation, despite the fact that (in my opinion anyway) Dr. Graham had more real Christianity in one of his toes than Bishop Spong has in his entire body. And while doubtless disagreeing with my definition of “real Christianity” Bishop Spong would not deny that his own faith bears no resemblance whatsoever to Dr. Graham’s—or (come to that) to most of the Christian world throughout the past two millennia. 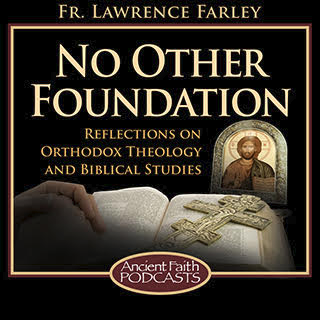 How then should we respond to the challenge of discerning how to receive the various groups entering the Orthodox Church? The counsel of St. Basil the Great may be of help here, such as his Letter 188, to Amphilochius, Concerning the Canons (which may be accessed here). The results of heeding his counsel will be addressed in the following blog piece. Do Fish Know that They’re Wet? Good morning Fr Lawrence! I found your article to be very interesting and the first I thought of was Jesus telling us we “must be baptized of water and spirit if we are to get into the Kingdom.” For me, that says it all – first because Jesus said it, and second it is clear. Blessings!